A local furniture maker is building up traditionally low-wage-earners’ confidence and career prospects. “The first time I used real tools, it was to take the training wheels off my bike and teach myself how to ride it,” says Arman Mizani, who hails from a “super-DIY family” in Silver Spring, Md., including a fix-it-herself mom (who grew up on a farm) and a carpenter dad who gave his kids free reign of the shop. It’s a perfect metaphor for The Surface Project, his new custom furniture company that doubles as a workforce development program. Surface operates out of Station North Tool Library, founded three years ago by a crunchy, community-minded couple, John Shea and Piper Watson, who (along with their dog Super Dave) have built a cult following of 900-plus members who come to borrow tools–and safely learn how to use them–to improve their homes and neighborhoods. Mizani did a trial on-the-job training program last summer–inviting two young men from Greenmount West to help him build the business from scratch. 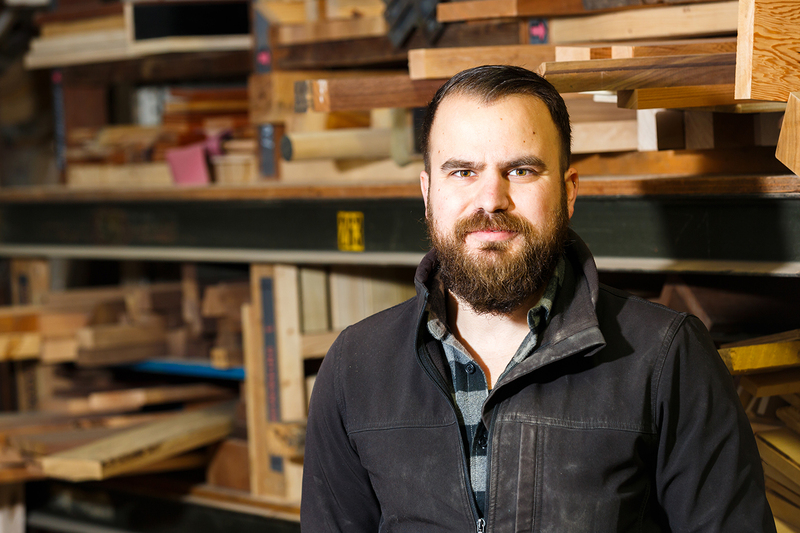 Using reclaimed lumber from local homes, the trio crafted countertops, desks, tables and shelves for a cooler-than-cool list of initial clients (think Sparkypants Studios and Impact Hub Baltimore). Even cooler? Watching his apprentices’ reaction when those clients gushed over the goods upon delivery. “It was beautiful to see the guys realize the efficacy of their craft–how their work connects to the greater world,” says the University of Maryland history grad who once thought he’d be a social studies teacher. This spring, Surface Project will shift to offering 6-month apprenticeships in design theory, fabrication and entrepreneurial training for women and men of any age who have a strong desire to make a living by making things. And they’ll get paid a living wage to do it, thanks to additional support from the Abell Foundation and Associated Black Charities. For Mizani, being part of the “Made in Baltimore” movement is about more than just supporting the local community and economy. He’s advocating for a cultural shift.